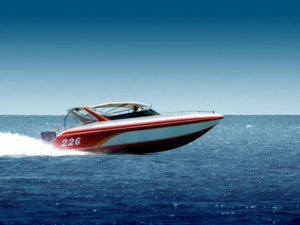 Boating Accident Lawyers Miami: Miami has an abundance coastline and waterways which provide an endless opportunity for recreation, but also danger . Boating accident such as drowning, collision and another form of accidents may be due to the lack of driving experience by the driver, the roughness of the water, poor planning and faulty equipment. The owners and the operator of a boat should do everything possible to prevent their passengers from being the victims of these accidents, the swimmers and other people in the water surroundings. This And this can be any water vessel, sailboat, ferries, cruise ships, power boats, jet skis, and another form of watercrafts. So the owner of the boat and the operators has been encouraged to obey the law of the boating, and take necessary precautions to avoid any injuries or accidents and make sure they have all safety equipment, maintain the boat properly and extremely cautious when they are around the swimmers. And most boat accident reported in Miami are those that have resulted in death or an injury that involve medical treatments, or damages on properties that are more than $2000. And some injuries can just be a small brush that will heal in no time, or a fractured bone, brain injuries. This means some injuries are more fatal than the other. A fatal injury can be life-altering and may require some very expensive medical bill and rehabilitation, or even cause some physical disabilities. And this kind of bills can be a burden to the victims. And if you or anyone in your family involved in a boating accident, then you will need to ask for compensation to take care of your medical bills, and the experience of our teams of lawyers can help you get it. How Can a Boating Accident Lawyer Be of help? These lists are more than these and are the various avenues to seek for compensation. Working offshore is not an easy thing to do, and if you sustain injuries in the process, you can also ask for compensation. Workers’ Compensation Claims: If you sustain any injury as a worker, you can file a compensation based on the Florida law. Negligence Claims: The victim can also get compensation from n insurance company, due to the negligence of the worker. To get this compensation, you will need to have the evidence. Evidence may include the captured image of the scene of the accident; eyewitness report testimony; or a police report. Make sure you have access to proper medical care. And we will help you with the insurance company. Document your medical condition to get the full status of your health. Get an expert to help you investigate faulty equipment or negligence of the drivers. Our vast experience we enable you to get all the different compensation due to you. We will use this evidence to compile the compensation you will need to take care of your expenses now and in the future. Get a free consultation with any of our Boating Accident lawyers today, for us to help you get all the compensation you need from the person that caused the boat accident.